Procedural law and substantive law are the two primary categories of law in the dual U.S. court system. These two types of law play different but essential roles in protecting the rights of individuals in the United States criminal justice system. Procedural law is the set of rules by which courts in the United States decide the outcomes of all criminal, civil, and administrative cases. Substantive law describes how people are expected to behave according to accepted social norms. Procedural laws govern how court proceedings dealing with the enforcement of substantive laws are conducted. Substantive law — literally the “substance” of the law — governs how people are expected to behave according to accepted social norms. The Ten Commandments, for example, is a set of substantive laws. Today, substantive law defines rights and responsibilities in all court proceedings. In criminal cases, substantive law governs how guilt or innocence is to be determined, and how crimes are charged and punished. Procedural laws govern how court proceedings that deal with the enforcement of substantive laws are conducted. Since the primary object of all court proceedings is to determine the truth according to the best available evidence, procedural laws of evidence govern the admissibility of evidence and the presentation and testimony of witnesses. For example, when judges sustain or overrule objections raised by lawyers, they do so according to procedural laws. Both procedural and substantive law may be altered over time by Supreme Court rulings and constitutional interpretations. In the case of guilty verdicts, the trial moves to the sentencing phase. In most states, the same laws that define criminal offenses also set the maximum sentences that can be imposed, from fines to time in jail. However, the state and federal courts follow very different procedural laws for sentencing. The procedural laws of some states provide for a bifurcated or two-part trial system, in which sentencing is conducted in a separate trial held after a guilty verdict has been reached. The sentencing phase trial follows the same basic procedural laws as the guilt or innocence phase, with the same jury hearing evidence and determining sentences. The judge will advise the jury of the range of severity of sentences that may be imposed under state law. In the federal courts, judges themselves impose sentences based on a more narrow set of federal sentencing guidelines. In determining an appropriate sentence’ the judge, rather than a jury, will consider a report on the defendant’s criminal history prepared by a federal probation officer, as well as evidence presented during the trial. In the federal criminal courts, judges use a point system based on the defendant’s prior convictions, if any, in applying the federal sentencing guidelines. In addition, federal judges do not have the leeway to impose sentences more or less severe than those allowed under the federal sentencing guidelines. Procedural law is established by each individual jurisdiction. Both the state and federal courts have created their own sets of procedures. In addition, county and municipal courts may have specific procedures that must that must be followed. These procedures typically include how cases are filed with the court, how parties involved are notified, and how official records of court proceedings are handled. The accused person had prior convictions for driving while intoxicated. The number of prior convictions for driving while intoxicated. Because both procedural and substantive laws can vary by state and sometimes by county, persons charged with crimes should consult with a certified criminal law attorney practicing in their jurisdiction. In the United States, substantive law comes from the state legislatures and Common Law — law based on societal customs and enforced by the courts. Historically, Common Law made up set of statutes and case law that governed England and the American colonies prior to the American Revolution. During the 20th century, substantive laws changed and grew in number quickly as Congress and the state legislatures moved to unify and modernize many principles of Common Law. For example, since its enactment in 1952, the Uniform Commercial Code (UCC), governing commercial transactions has been fully or partially adopted by all U.S. states to replace the Common Law and differing state laws as the single authoritative source of substantive commercial law. 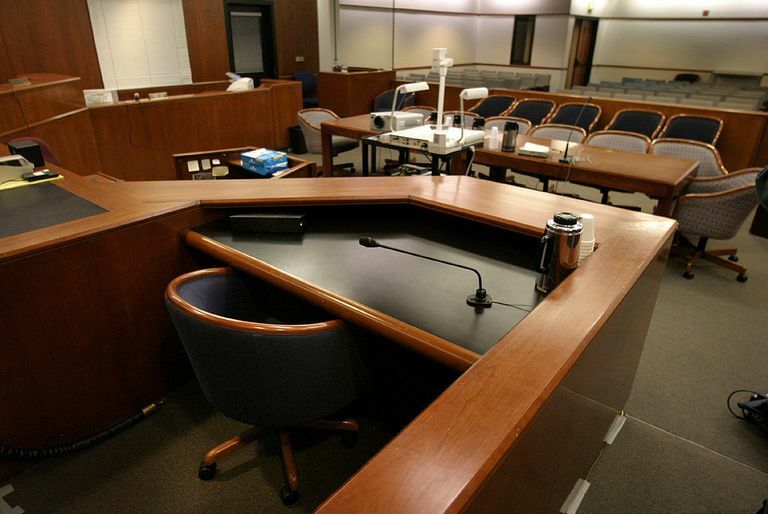 What Is a Grand Jury and How Does It Work? What Does the Right to Due Process of Law Ensure? What Is a Dual Court System? Republic vs. Democracy: What Is the Difference?